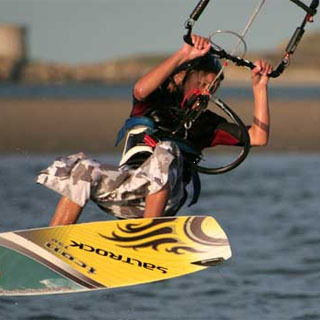 Experience the adrenaline rush of kitesurfing with Pure Magic in the Irish Sea, County Dublin. 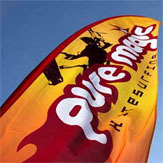 Whether you are an absolute beginner or a certified expert, Pure Magic will help you enjoy and improve your skill in the exciting sport of kitesurfing. 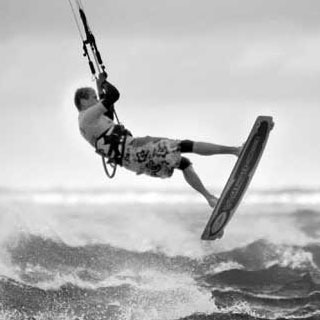 Choose from great kite surfing courses such as half day kitesurfing lessons and 4 lesson kitesurfing courses. Minimum participant age is 12 years. Expert tuition and equipment is provided. Pure Magic is located in Clontarf, Co. Dublin. Kitesurfing lessons take place 7 days a week, March to December. Lessons take place at 9.00am, 1.30pm and 5-6pm. Advance booking on AllGfits.ie is required. Pure Magic, 370 Clontarf Road, Dublin, Ireland. Pure Magic is Ireland’s only dedicated kite surfing centre where you get lessons, buy gear, and get tips and advice from kite surfing nuts! From absolute beginners to experts, we can help you enjoy and improve in this exciting sport. Pure Magic’s kite surfing centre in Dublin offers all you can need, from kite surfing lessons with our certified instructors, to a range of the latest kite surfing equipment. The lessons can be taken from complete beginner for the first thrills on the water to advanced riders. Each lesson lasts approx 3 hours (which is called a “session”). You can take sessions either separately or together in the Full Package. The Full Package is 4 sessions (12 hours of lessons) which is the minimum time of instruction usually recommended to people who want to start the sport from scratch, and be able to go on their own after it, in a safe way. If you look at www.ikorg.com it corresponds to the level 2. This course can be done within 4 half days (during the week) or if the conditions are good, within 2 full intense days (or week-end). The 12 hours are effective instruction hours so always give an allowance for more time on the beach and preparation. During the sessions, you’ll be brought from the basics of a small kite control to the preparation of waterstarting and first rides on the board. During all sessions, safety will be consistently taught and discussed. The idea of the courses is to leave you progressively independent. The lessons follow a very logical and progressive way that have been applied and improved over more than 8 years. How it Works: Use this gift voucher on AllGifts.ie to make a booking with Pure Magic. Or you can swap this voucher for any other gift or voucher listed on AllGifts.ie. Simply follow the instructions at the bottom of your voucher.